The Print commands in the File menu are used to set up the spreadsheet for printing, preview the print job, and send the spreadsheet to the printer. The Print Setup command displays the Print Setup dialog. This dialog allows the setting of the default printer, as well as the paper size and orientation. 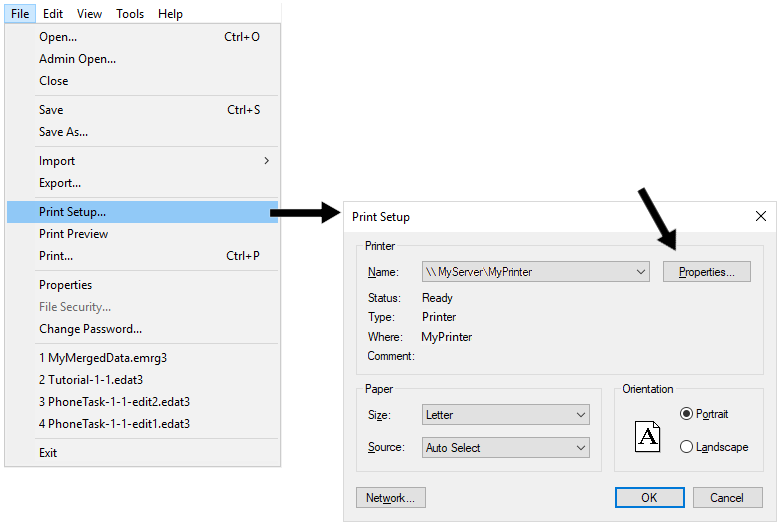 The Print Setup command allows the user to designate the print settings, but does not send the print job to the printer. The Properties button on the Print Setup dialog allows more detailed setting of the print options. The Print Preview command displays the spreadsheet as it would appear when printed. 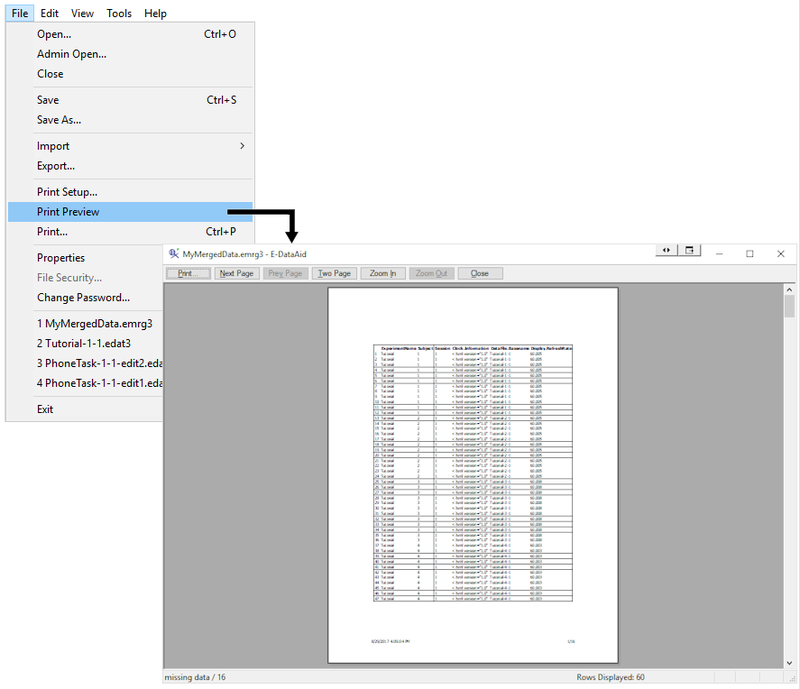 This view allows the user to send the spreadsheet to the printer, page through the spreadsheet, view an entire page, or zoom in to view a portion of a page. 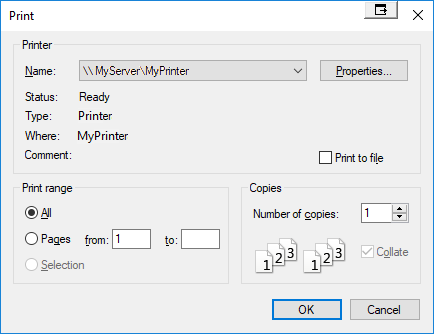 The Print command displays the Print dialog, which allows the setting of the default printer, the portion of the document to print, and the number of copies. The Properties button on the Print dialog allows for more detailed control of the print operation.